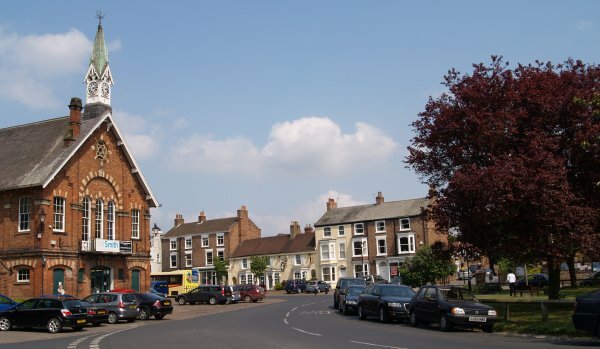 The market place at the centre of Easingwold, a pleasant small town of mainly red-brick houses and a few fine Georgian houses. 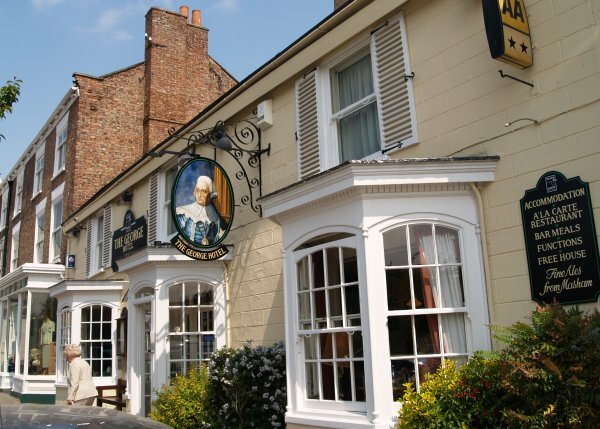 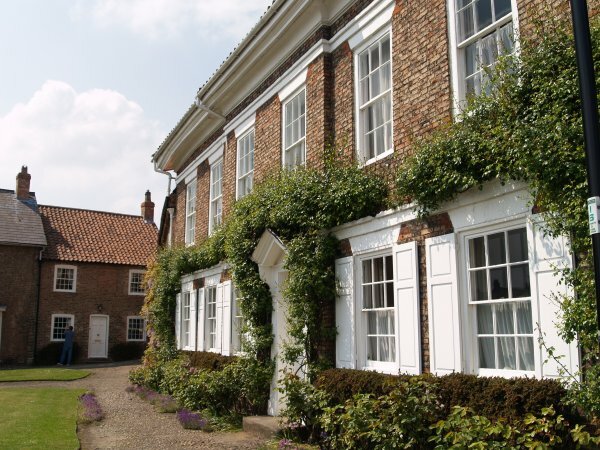 The George Hotel is a fine looking building and a good place for lunch before strolling up to visit the Parish Church of - which is well away from centre of Easingwold. 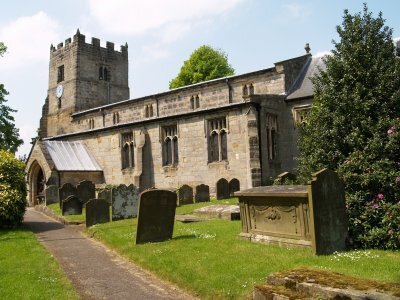 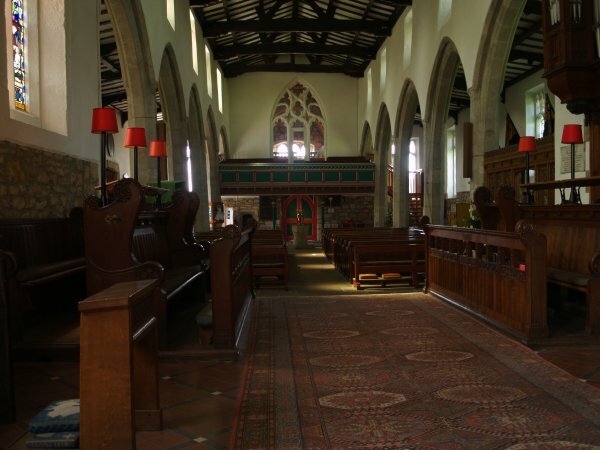 The Parish Church of All Saints and St John has its origins in the late 11th-early 12th century. 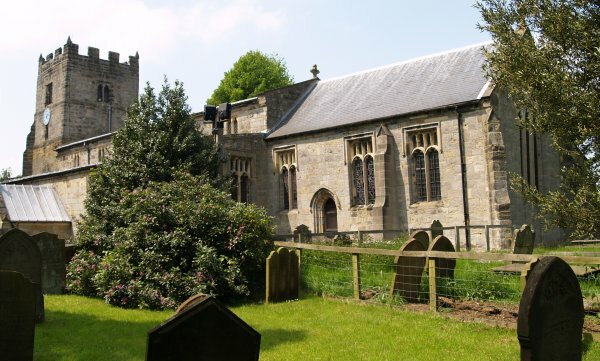 The west tower is broad and embattled. 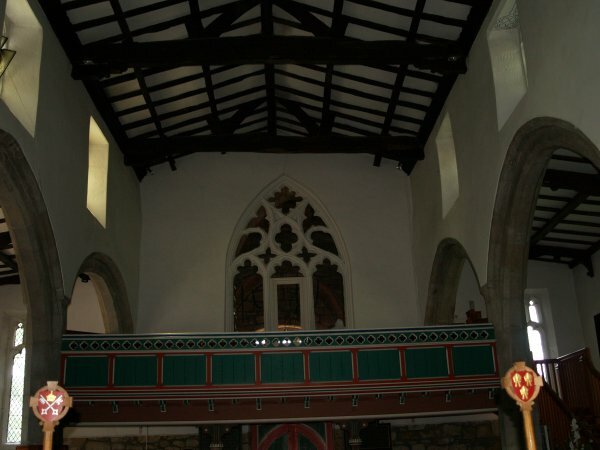 Quite a nice brightly painted west gallery, which should be at times populated by singers and musicians! 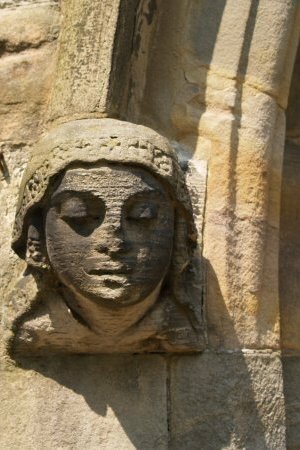 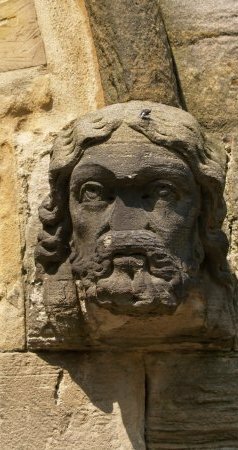 Some sculptured heads - gargoyles- set into a window of the south wall. 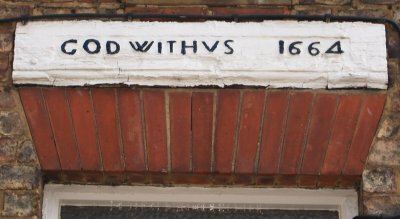 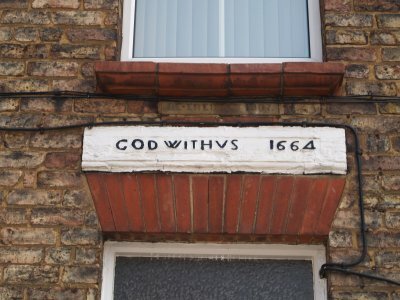 Above a doorway on the way up to the church - "God with us 1664"
'The White House' is one of the most handsome buildings in Easingwold, built of brick and with five bay windows on the ground floor. 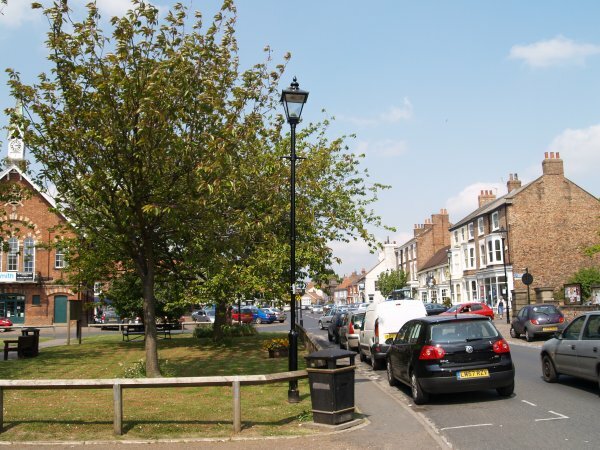 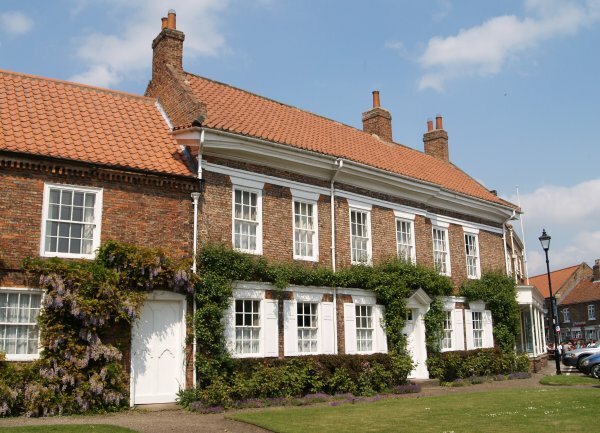 Easingwold centre - the main street is called Long Street. 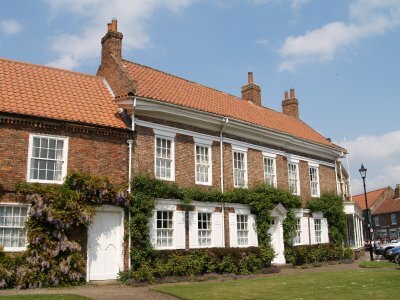 Most of the properties were built in the 18th or 19th century. 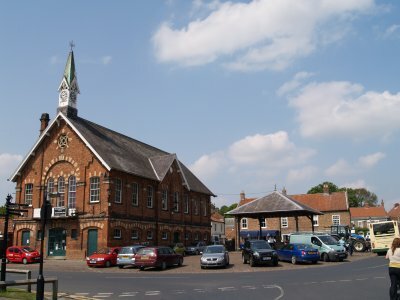 The Town Hall (on the left) was built of red and yellow bricks in 1864 with a small 'modern' addition of a bell-turret in the form of a spire resting on a four faced clock. 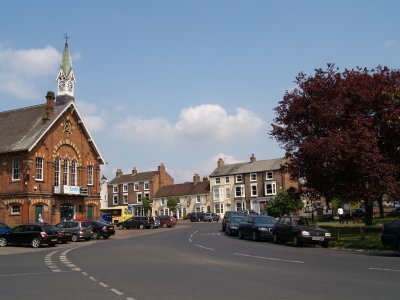 Easingwold, North Yorkshire, Northern England: Easingwold is a busy market little town about 13 miles north of the City of York. 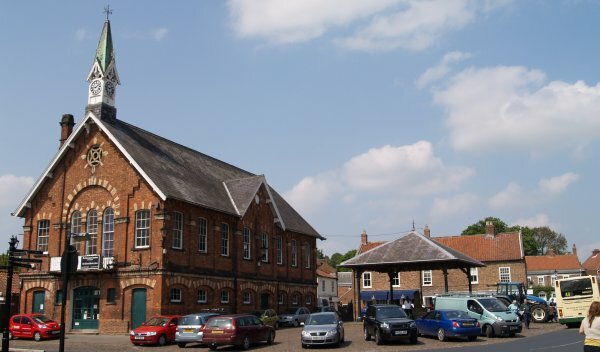 There are some fine Georgian buildings e.g. The White House (lower left picture) and the market is still held every Friday. 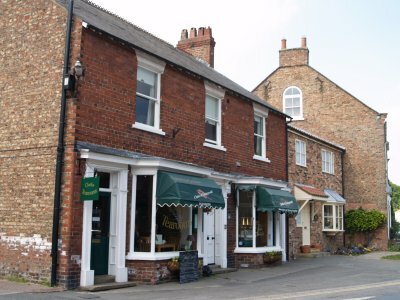 Clarks Tearooms (tea room left) and the Tee-Hee Cafe in the Market Place provide snack, drinks and light meal refreshments. 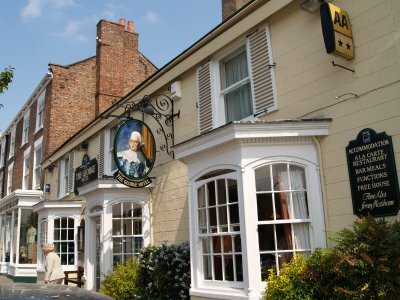 The George Hotel in the Market Place, a fine 18th century building) provides good bar meals 'in comfort' and has a restaurant too. 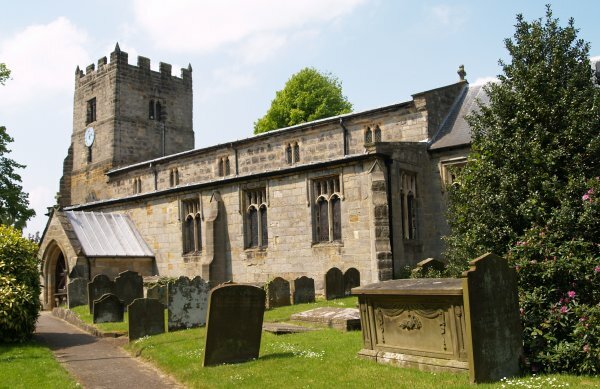 You can walk up the hill to the, largely rebuilt in the 14th century, fine Parish Church and on the way you see the 'God with us 1664' stone on a house on the right-hand side on the way up to the church.